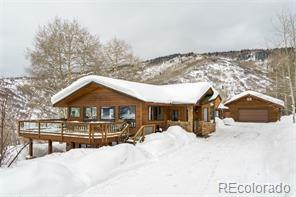 Enjoy breathtaking views of the Ski Area and South Valley from this beautifully remodeled home in Dakota Ridge. The landscaping is amazing with huge decks, hot tub, water feature and beautiful gardens. 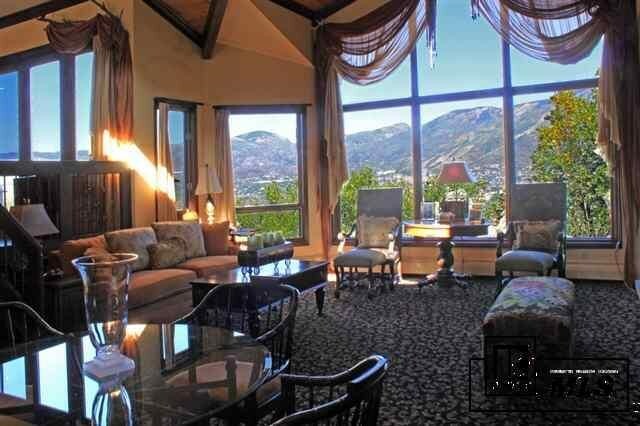 The main level boasts a large living room with bar, large fireplace, and huge windows. The kitchen is also on the main level with a dining area and pool table that converts nicely into additional dining space. Each of the 4 lower bedrooms has private access to the deck while the main level master has a private screened porch. The garage offers a workshop area with abundant built-in cabinetry, a pull out work island and lots of great storage. Above the garage is a soundproofed office. A/C in the office and master.